Slim and slender in shape , ALBA is the most expensive grade of cinnamon with an exquisite taste of aroma..My product is Ceylon cinnamon and brand is ALBA. When you purchase cinnamon always compare the diameter, color and taste to find the best quality. How can you find real ALBA quality Cinnamon ? Cinnamon thickness of more than 0.85 cm (0.33 inch) is not Alba quality Ceylon cinnamon. Avoid purchasing these. 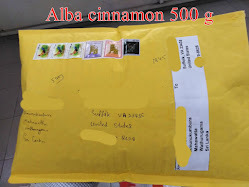 Some sellers do not write the correct thickness because they do not sell real Alba quality cinnamon. 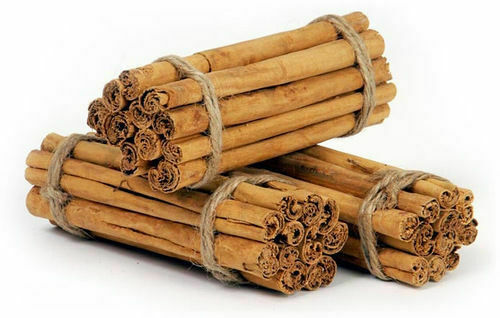 If you buy cinnamon from any seller always ask what is the thickness (Diameter) of the cinnamon sticks they are selling ? If you cannot find quality cinnamon just contact me. I will help guide you. No purchase is required. We have a great selection of Alba grade cinnamon, cinnamon Powder, cinnamon leaf oil and cloves available to you at great prices. Our products are ordered every week to ensure freshness. All lots are logged and recorded as they are received. These are not products that you can buy at dollar discount stores or supermarkets that have been sitting on large warehouse shelves somewhere for long periods of time. Our products are packed every week and we frequently do samplings so we know what we are providing our customers at all times. The excellent quality our customers have come to trust and appreciate. Just take a look at our feedback page. When you open your package you will see, smell and taste the difference. If you are not completely satisfied please contact us and give us a chance to make it right for you.